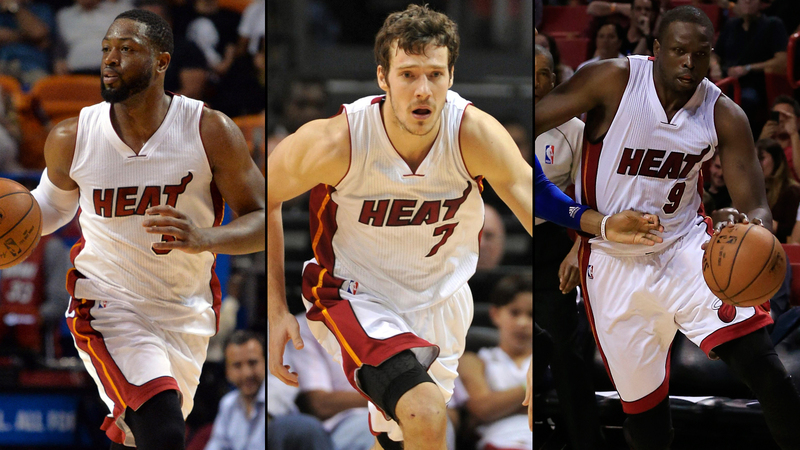 The Miami Heat are out to prove that they are the biggest threat to the Cleveland Cavaliers this season. In terms of top-end talent, the Heat have as much, if not more, than anyone in the East outside of the Cavs. Therefore, capitalizing on the roster's gifts is simply a matter of the starting lineup staying healthy and figuring out how to cover up its deficiencies (3-point shooting and defensive acumen). The entire Heat starting lineup made Sports Illustrated's list of top 100 players in the NBA, which only the Golden State Warriors, Los Angeles Clippers, San Antonio Spurs, Houston Rockets, Cavaliers and Atlanta Hawks can boast (though the Cavs and Hawks didn't have their full starting lineups, but bench players instead). Also, only the Spurs and Cavs had all of their players in the top 70. Essentially, the Heat are in great company. Hassan Whiteside started off the list at No. 69, among the likes of Tristan Thompson and Timofey Mozgov. One can argue that, when he's playing his best, Whiteside is easily the best player among the trio. Luol Deng finished at No. 56, yet again proving how consistent he is, as he finished at No. 55 last season. Goran Dragic's public perception continued to dip, as he dropped from No. 35 last season to No. 42 this season. The Heat's dynamic duo of Wade (No. 30) and Bosh (No. 22) finished a bit lower than expected, but just like projecting the Heat's record, it's unclear what to reasonably expect from either of them next season.